As I mentioned here in my last post, flats and lower heels are making a comeback in my daily uniform, where I find myself grabbing them more often than not over my heels. The ironic thing about that? I usually find myself a bit stumped actually on how to style them. I know, I know. But when your automatic knee-jerk reaction to most outfits is to "throw on heels" (which don't get me wrong, is still my mantra), flats can feel like a stranger to the rest of your wardrobe rotation. So naturally, when DSW asked me to put together a few style boards around some of the latest shoe trends (a lot of which are flats and low heels), I jumped at the chance, mainly to familiarize myself with how I could pull off each look with similar items I likely already have in my closet. Here are 6 spring shoe trend looks I've put together (some flats, some lower heels) -- essentially a cheat sheet for you and me so to speak. And the cherry on top? I think this may have just nudged me to get a pair of Birkenstocks. Or two. I'd be lying if I said I wasn't a little excited to style those bad boys now. How would you style any of these shoe trends? Let me know in the comments and make sure to check out DSW's Reward page to get in on some the latest deals and sales. This post is sponsored by DSW. As always, all opinions and styling are my own. Thank you for supporting posts that keep This Time Tomorrow's doors open. 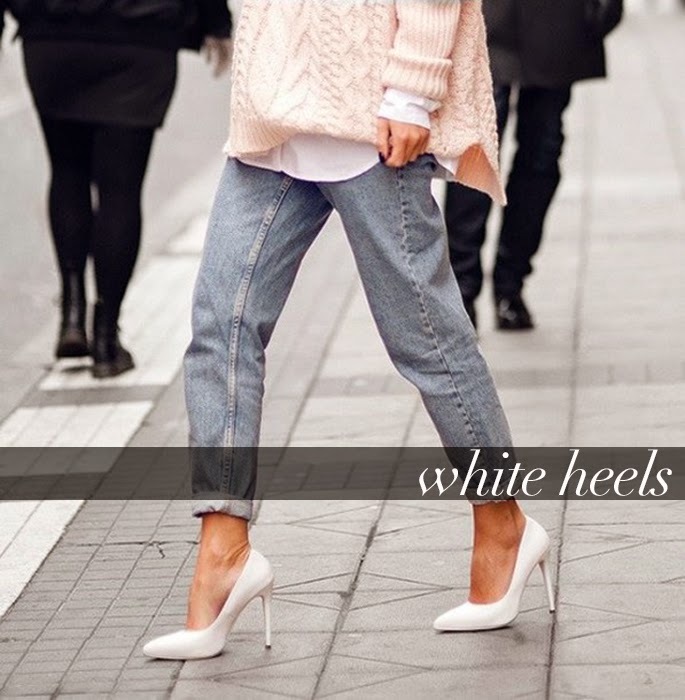 Loving the white heel trend and embarrassing it. Thanks for sharing. 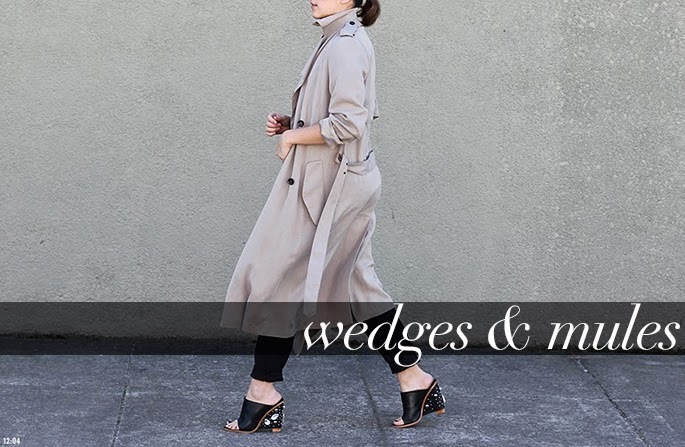 Wearing lots of city heels right now! They're the perfect compromise. And need a classic white pump! I opened up a box of college clothes and found 3 pairs of Birkenstocks. I slipped them on and am still trying to decide how I feel about them!! With so many other cute options out there, I may have to pass on bringing this trend back! Great post! Love the variety but still not a fan of the birkenstocks...dont think ill ever be. What's the photo cred for the first picture? I really like those black sandals. Lovin' how you styled the footwear around the outfits. Really makes the shoe the focal point. Slip on sneakers are my favorite shoes for spring! Great roundup! I like all your inspiration board!